In order to comply with the technical aspect of HIPAA, though, every US-based organization keeping any contacts in relation to the Act needs to make sure that has taken appropriate technical measures to safeguard medical data. Healthcare IT News reports that healthcare continued to be a lucrative target for hackers in 2018 with weaponized ransomware, misconfigured cloud storage buckets and phishing emails dominating the year. Cyber criminals, they say, will likely get more creative despite better awareness among healthcare organizations at the executive level for the funding needed to protect themselves. The table shows that the most common data breach causes are related with poor database protection, or with poor IT-related staff training. Processes and procedures, in other hand, provide clear guidelines on what to steps to follow in order to minimize the risk of information security breach, and how to proceed further in cases of security incidents. Data integrity is another aspect which is often neglected by organizations. According to high level security experts, “Data Integrity Is the Biggest Threat in Cyberspace”. And whether it’s an external or internal attack, the risk is there, and if you don’t get to know that the integrity of your data is compromised, you may not know there was an attack in the first place. Putting together all these measures guarantees a proportionate level of data protection. Another aspect, however, is protecting the patient database the way it can’t be easily breached. In order to illustrate the main things every healthcare organization needs to consider we conducted the guide below. In terms of protecting sensitive personal data certain access control measures should be taken by every organization which keeps medical records. It is required to implement appropriate technical policies and procedures, and secure physical and digital access to data. Electronic information systems that maintain electronic protected health information organisations are bound to allow access only to those persons or software programs that have been granted access rights. Keeping an unmodifiable audit log for each access to sensitive data per profile – keeping logs of who accessed certain data type and at what time can help us investigate in case of data breach. However, if logs can be deleted or modified by anyone within the organization (even system admin), who also has access to various company assets, can potentially be considered as vulnerability. For this reason we created Sentinel Trails -a blockchain-based secure audit trail which makes data manipulation practically impossible. Real-time incident reporting – A real-time reporting allows managers and quality auditors to take full control over data access. They can keep an eye on the access logs and be aware of any types of anomaly behavior – e.g. who accessed sensitive data outside their work hours, who exported big data arrays and is not supposed to, who made changes on the database, etc. To implement appropriate IT measures, first prepare an IT implementation plan covering the security measures that have not been implemented yet. To deliver high quality, conduct an annual internal audit to take proper corrective and preventive measures based on the implementation. Assign a unique ID (name, number, combination of symbols) to identify and track user identity. Establish procedures for obtaining necessary electronic protected health information during an emergency. Make sure you have established procedures to terminate sessions after a predetermined time of device inactivity. Encrypt and decrypt any protected health information (PHI). Once implemented, any PHI-related software, hardware and procedures should be carefully audited on a regular basis. Audits ensure that the organisation is continually engaged with the protection of sensitive data, and demonstrates its responsibility to improve it. The audit control is important to demonstrate compliance with the HIPAA. But at the same time it is vital to ensure compliance with other data privacy-related regulations such as GDPR. Audit logs can ensure a smooth audit process and minimum staff involvement. Audit logs provide useful and at the same time irreplaceable information about following everyday processes, and help the auditors to get a better overview on the security measures taken, such as access granted. Data integrity is a key for HIPAA compliance. Implementation of policies and procedures that protect electronic PHI from improper alteration or destruction can prevent various data breaches. Implementation of electronic mechanisms to corroborate that electronic PHI has not been altered or destroyed in an unauthorized manner is also a must-have. Best case scenario is developing an all-in-one overview where auditors and operations managers can review and quality check if only authorized persons can access sensitive data. Implement procedures to verify that a person or entity seeking access to electronic PHI is authorized to receive it. Make sure all the procedures and processes you implement are in line with your organisation policies. Also make sure that they are being audited on a regular basis. Data transmission is a potential information security gap. Transmitted data can easily become a target so keeping it secure is a priority for each organisation, especially for those keeping ePHI. Implement security measures to ensure that electronically transmitted PHI is not misused without detection until its disposal. Implement a mechanism to encrypt electronic PHI whenever deemed appropriate. Make sure you have set up certain event log alerts for tracking misuse. Audit all your records where you store PHI and plan how to minimize it and keep it encrypted. LogSentinel’s business focus is keeping sensitive data safe, and making it easier to investigate who is responsible for a data breach event. We previously reviewed the most common practices to prevent various types of data breaches. But not every organisation has the capabilities to do this alone. That’s why we developed a 360-degree, compliance-as-a-service solution, helping small and medium organisations to solve their information security issues seamlessly. Most of the data breach attempts are initiated by insiders. Very often insiders manage to cover their traces making it impossible to track back who has breached the data. With SentinelTrails, your activity logs will be kept safe on blockchain, so that no one would be able to access your data without any evidence. 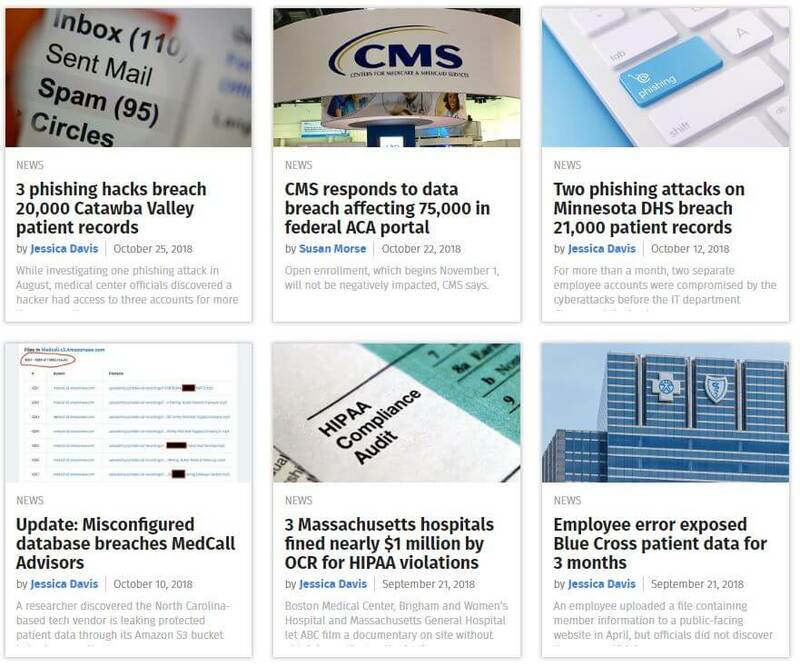 This feature fully covers the HIPAA audit log requirements. Real-time alerts can help prevent highly sensitive data breach and save company reputation. Take control over the sensitive data you own. 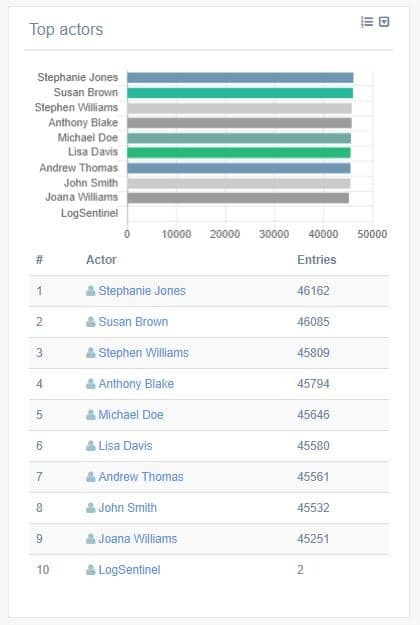 The real-time analytics gives you an overview on the activity during the period you’ve chosen to observe. Minimum efforts are required from your side. Our expert team will adapt our services to the exceptional requirements of your organization, so that you can focus on what’s actually important – saving lives. If you would like to explore more about the information security solutions, contact us today. This entry was posted in Cyber Security, Data Protection, HIPAA, Privacy by Design and tagged Data Protection, HIPAA, IT Compliance, privacy by design. Bookmark the permalink.